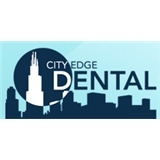 City Edge Dental (Chicago) - Book Appointment Online! From the moment you enter our office, we'll make your visit a positive experience. Electronic patient education, intraoral cameras, computerized scheduling and single-visit root canal technology are just a few of the many reasons why a visit to City Edge Dental is something to smile about! We believe our patients deserve gentle, state-of-the-art treatment from professionals who care. It's precisely this commitment that sets us apart. Dr Gula is very competent and professional.The office itself is a state of the art modern facility.Helpful and caring staff as well.